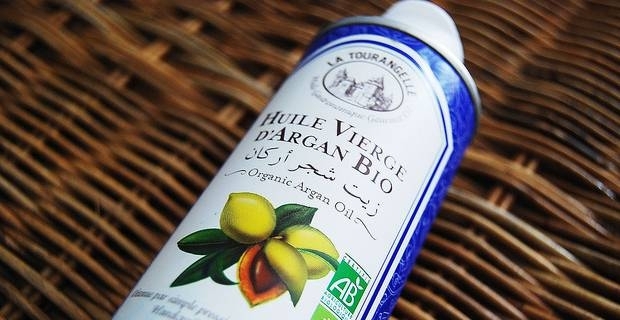 The Argan tree grows in the hot and dry parts of Morocco and is not usually found anywhere else in the world. It produces nuts that contain an unusually high amount of carotene, a form of Vitamin A and tocopherols, a form of Vitamin E, which constitute the makeup of healthy skin. Argan nuts give us one of the world’s rarest vegetable oils with antioxidant properties that have a wide range of uses. We examine some top Argan Oil uses and the benefits of the wonder oil from Africa. Argan oil comprises of more than 80 percent polyunsaturated fats, which makes it a “super” healthy food. People who consume Argan oil greatly reduce their risk of cardiovascular attacks and lower their cholesterol levels. The oil is especially beneficial to people with heart problems due to its medicinal properties. Sprinkle a little Argon oil over salad or pasta as dressing to tap into the health benefits of the nutty tasting oil. Argan oil is also used for intensive face moisturising for all skin types with impressive results. Apply a little of the oil over your face and gently massage the face in a circular movement before you go to bed to hydrate your skin overnight. You can also use the oil in the morning as base for your makeup. The moisturising effect of the oil is particularly beneficial when applied on wrinkle-prone areas of the face, including areas around the eye and very dry skin. Argan oil penetrates easily into skin and leaves no oily residue. It can even be used to treat chipped lips. Argan oil hydrates, smoothens and imparts a healthy shine to hair, making hair more manageable and beautiful. Apply Argan oil on dry hair and leave it for about an hour to cares the scalp and then shampoo the hair to smoothen, add a beautiful shine and advance hair growth. Also, apply a generous amount of Argan oil after styling or processing hair to add gloss, lock in the shine and mend splitends. Argon oil softens nail cuticles, prevents nail breakages and gives nails an attractive radiance. Soak brittle or weak nails in an equal mixture of Argan oil and lemon juice for about 10 minutes to strengthen weak nails. Also, rub the oil on your hands before you go to bed to smoothen the hands. Argan oils also helps keep the body in good shape. It firms skin and reduces appearance of stretchmarks, relieves body inflammation, treats sun burn and relaxes the spine. Just apply the oil directly on the body after taking a shower or bath to reap its benefits. You may also mix the oil with body lotion, rub the mixture in your palm and gently applying it over the whole body in a massaging pattern to nourish the body and improve skin health and appearance.